By: Jongsma Jr., Arthur E.; Winkelstern, Julie A. 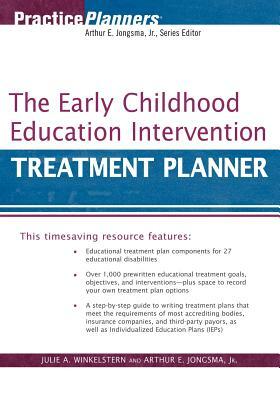 "The Early Childhood Education Intervention Treatment Planner" provides all the elements necessaryto quickly and easily develop formal education treatment plans that take the educational professional a step further past the writing of goals for Individualized Education Plans (IEPs) as well as mental health treatment plans. The educational treatment plan process assists the professional in identifying interventions and communicating to others the specific method, means, format, and/or creative experience by which the student will be assisted in attaining IEP goals. Author Name: Jongsma Jr., Arthur E.; Winkelstern, Julie A.